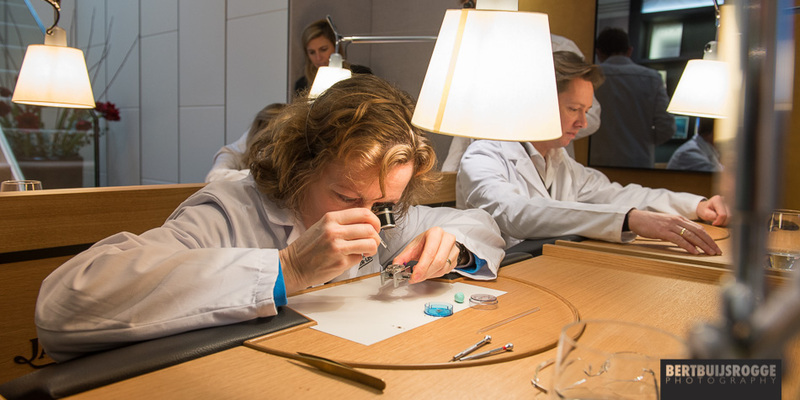 During our visits to watch manufactures we always get to see a lot of watch makers at work. 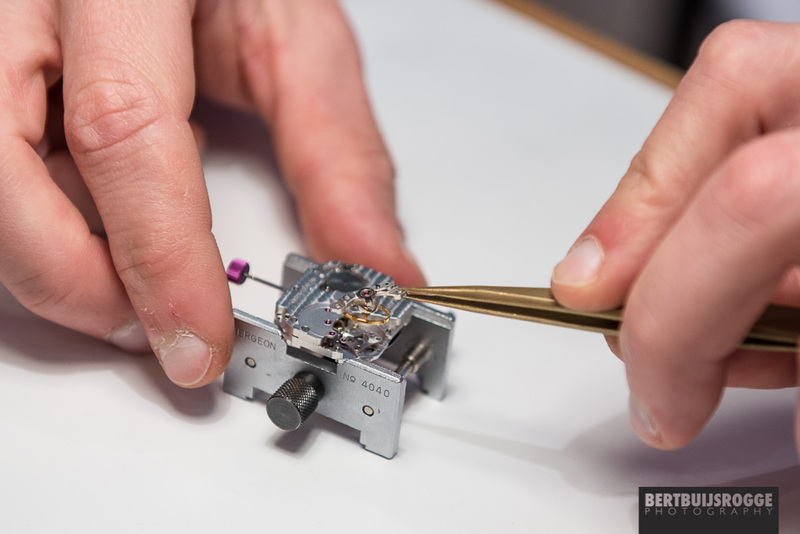 Sitting behind their low desks, highly concentrated, working on movements or other small watch parts. 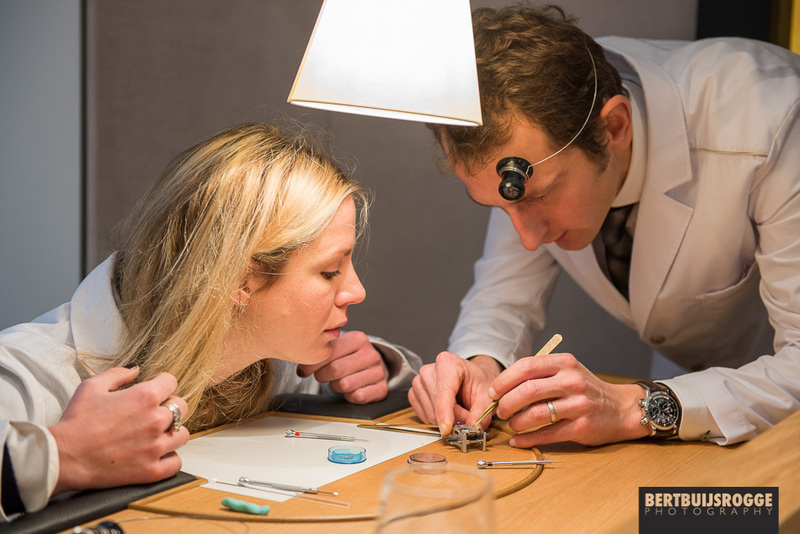 Recently I was able to try it ourselves during the Jaeger-LeCoultre Master Class Watch Making. Organised in their recently opened boutique in the renowned P.C. 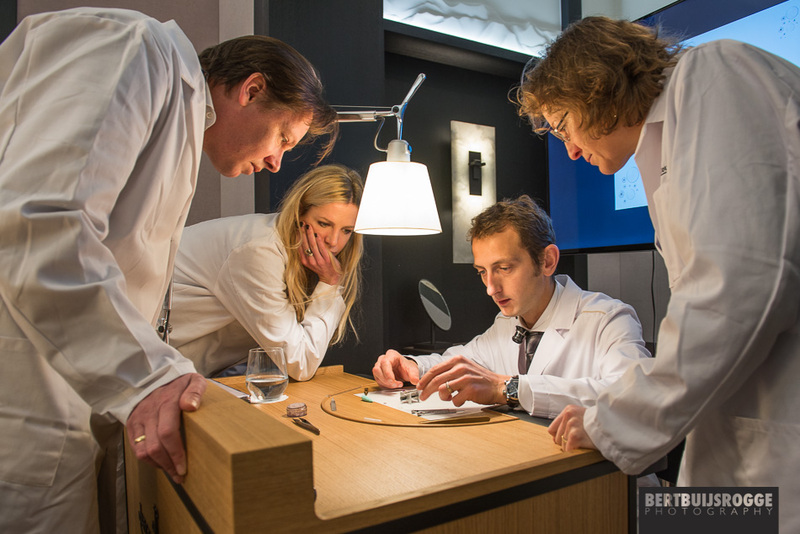 Hooftstraat in Amsterdam, we were welcomed by the JLC team and their watchmaker. 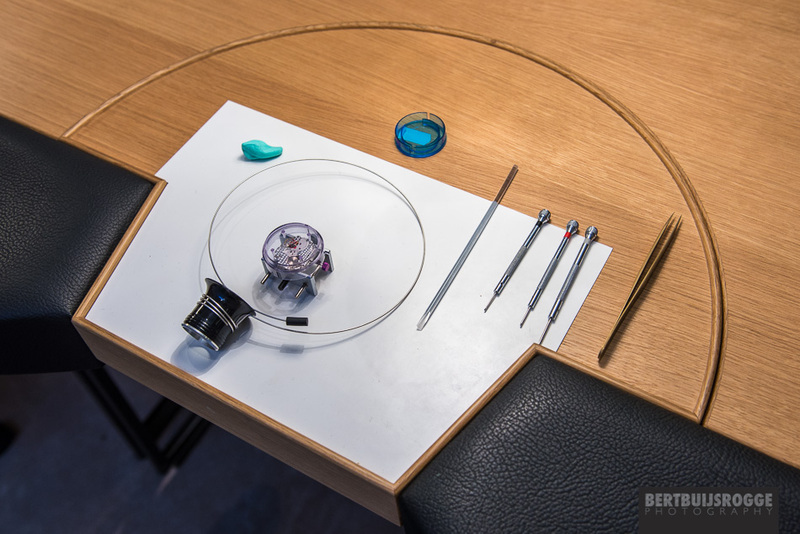 In their basement they’d set up some work benches, with all the necessary watch making tools for the surgery we were about to perform. Todays patient? The Jaeger-LeCoultre Calibre 986, as used in the Grande Reverso Duoface.